You will write your Resume! Scroll down for additional information. Due in 2 weeks on Feb 2nd! ​ATTEND the Rock Your Resume! 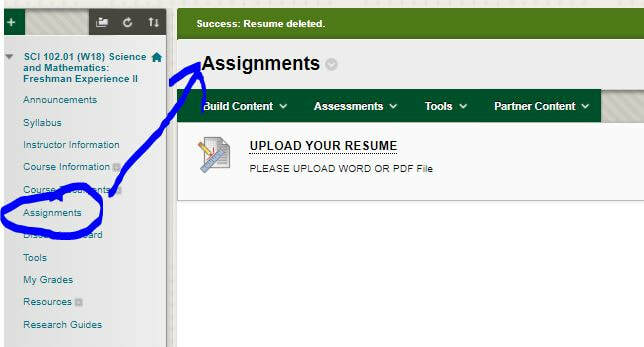 GUIDELINES FOR RESUME FORMATTING from the Cal Poly Pomona Career Center. Click on "UPLOAD YOUR RESUME"
Enter or Attach your RESUME and hit "SUBMIT". Blackboard will give you a confirmation message stating that you have successfully submitted the assignment.